Traktor Pro Version 2.11.3.12 Beta Is Available For Public Testing! 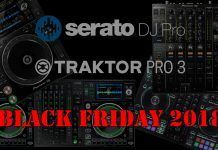 Home DJ News Traktor Pro Version 2.11.3.12 Beta Is Available For Public Testing! Rejoice Traktor Pro fans, finally Native Instruments is releasing what looks like a major update of their Traktor Software. Version 2.11.3.12 has gone into public beta today. 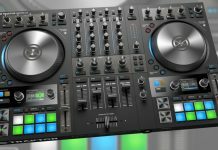 There are a LOT of new features in this version, most notably colored waveforms, colored overview stripes, on-screen beatjump buttons and phase meter when using the CDJ-2000NXS2 in HID mode, HID support for the CDJ-TOUR1, scratch certification for the most recent DJM mixers and finally the possibility to sync iTunes song information. 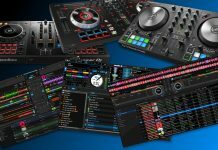 These are all solid improvements, especially for club DJ’s that prefer to use club gear but still want to play from their Traktor Pro library. The fact this version is going into public beta, and that Native Instruments is actively looking for feedback and feature request definitely should put worries about the end of Traktor Pro to rest. It doesn’t mean that Traktor Pro 3 is around the corner, but at least it’s being brought up to date to work properly with recent gear. In case you want to join the beta test team, be sure NOT to do your testing on your main gig laptop, as going into a performance with an early beta of any DJ software is not… a good idea. waveforms on the computer screen. following the settings of the waveforms on the computer screen. representation) are now supported and allow for visual beat matching. interface in the same manner as the CDJ-2000nxs2. Syncing Song Info from iTunes, more specifically the Artists, Title, Album and Rating for all tracks listed in the iTunes node is now provided by a new context menu entry of the iTunes node, called “Sync Song Info”. the cause for erratic behavior in context of the Search window. decks A/C to decks B/D. Deck using the D2 controller. folder in the Traktor browser tree is no longer lost. Do you use Traktor Pro? Excited with this new version going into Beta? Tell us about it!